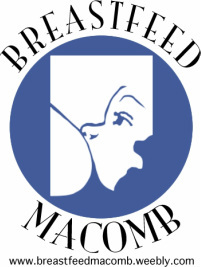 The Macomb County Breastfeeding Coalition is a collaboration of health professionals and community representatives whose mission is to identify and reduce medical, social and economic barriers to breastfeeding in Macomb County, Michigan through education, support and outreach. ​JOIN our Marvelous Milky Mamas for Breastfeeding Support! Older children & snacks are welcome!